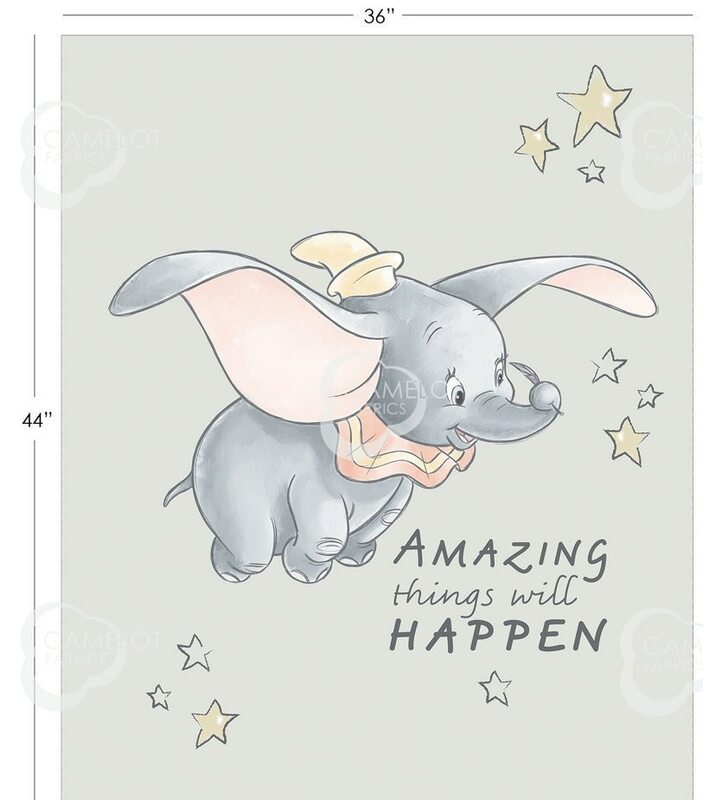 Baby Dumbo PANEL approx 36"x44" From Disney Sentimental Collection by Camelot Fabric. This is newly released fabric and another winner! This is almost a full yard panel with a beautiful saying in pastel light colors. It is gender neutral and by adding fabric colors can be made for a boy or a girl! The fabric measures appx 36"x44". If you purchase more than one Panel will be shipped in separate panels.